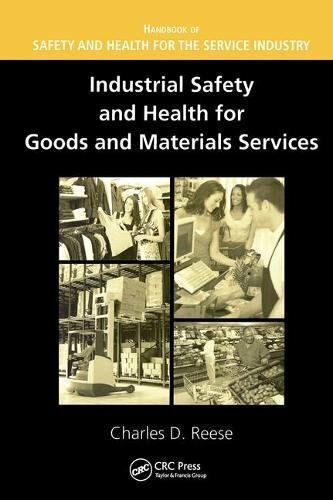 [PDF] Industrial Safety and Health for Goods and Materials Services (Handbook of Safety and Health for the Service Industry) | Free eBooks Download - EBOOKEE! Description: Industrial Safety and Health for Goods and Materials Services focuses on the safety requirements of the wholesale and retail trades, including warehousing. This detailed text describes the hazards associated with chemicals, compressed gases, and fire. In addition to discussing the ergonomics behind hand tools, ladders, machine guarding, material handling, and industrial trucks. No comments for "[PDF] Industrial Safety and Health for Goods and Materials Services (Handbook of Safety and Health for the Service Industry)".